This Acquisition Seminar will prepare you to be a strategic partner with your customers throughout the acquisition process. You will learn practical techniques to enhance the most critical aspects of customer services. 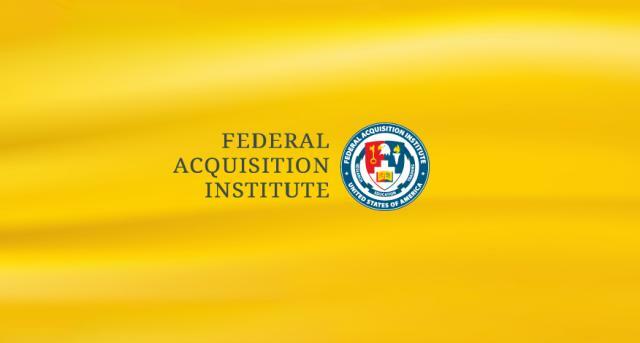 You will hear from customer service subject matter experts (SMEs) from the Federal acquisition community who will share their proven strategies. Customers don’t buy products and services; they buy solutions. The Federal acquisition workforce consists of contracting officers, contracting officer’s representatives, and program/project managers, but the essence of each role is “Problem Solver.” As members of the acquisition community, we are positioned to help our co-workers navigate the parameters and opportunities of acquiring and managing the best solutions to meet their needs. Customer service has historically been a noted strength of the Federal Acquisition Workforce, but our competency proficiency scores have been on the decline in this area since 2010.